My customers can be assured of a punctual, friendly and flexible service to suit the needs of their property. 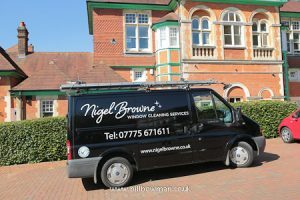 I work efficiently and safely in all types of buildings and properties to ensure that my customers will be satisfied with spotless, streak-free windows. The service also includes cleaning of frames and seals as standard.